ThisÂ Aruba Blue Royal 29″ Swivel Bar Stool is hand crafted by the amish in Pennsylvania. The chair is not only a perfect size, it is very comfortable too. This exceptionally well made Royal swivel bar arm chair will last a long time at your home. It can go anywhere inside or outside. $769.99. Free shipping. Buy here. 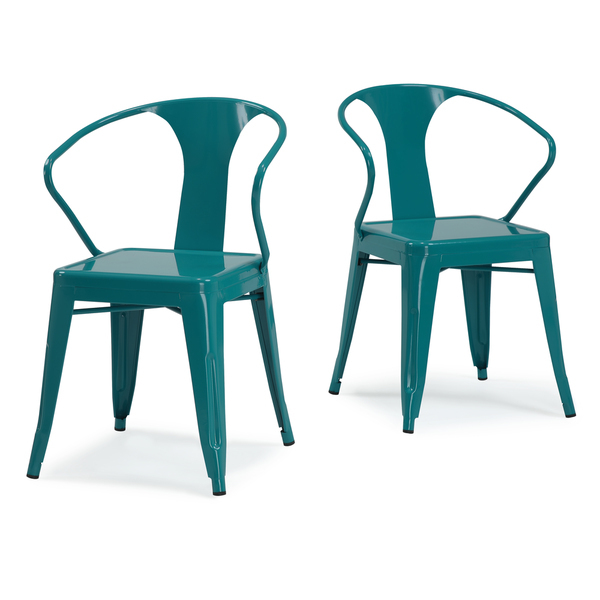 Convert your backyard space into a classic French-style bistro with these outdoor Paris Bistro Chairs (Set of 2). 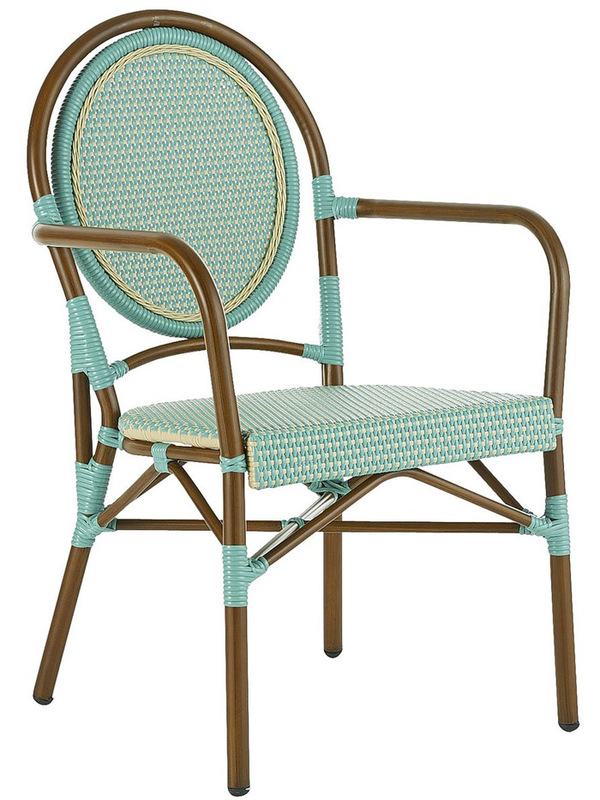 These low-maintenance rattan bistro chairs are crafted from a combination of hand-woven rattan and plastic, which can be easily wiped clean with a damp cloth. $413.09. Free shipping. Buy here. 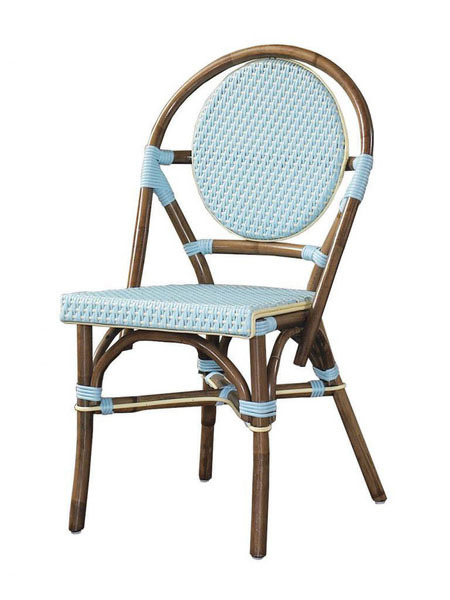 Painted a lovely, deep blue, these Light Blue Elm Wood Rattan Vintage-style Dining Chairs would complement both modern and traditional styles. The simple iron and wood backrest and padded, woven rattan seat prove you needn’t sacrifice comfort for style. Set of 2. $291.499. Free shipping. Buy here. This Swedish Country Chair is anything but ordinary. 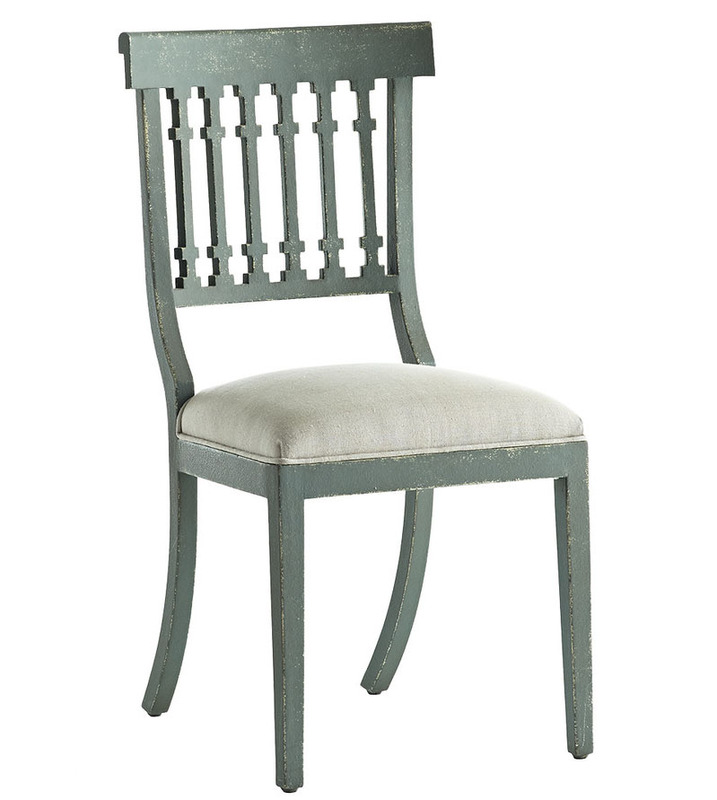 It mimics 19th-century Swedish style, hand-painted in a rich blue-green hue, finished with a hand-distressed look.Â $549. Buy here. 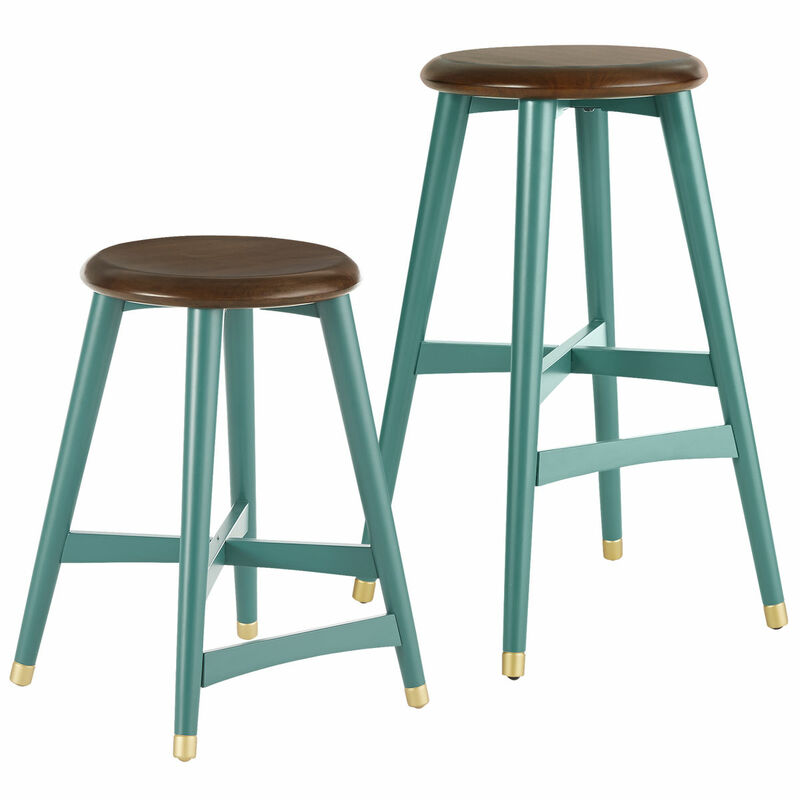 A fresh approach to the traditional backless barstool, theseÂ Turquoise Cooper Bar & Counter Stools are fun and built to last. 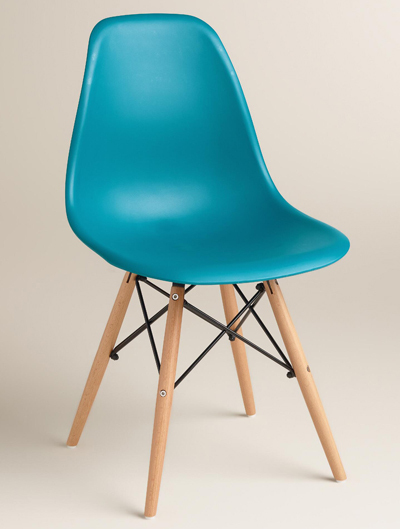 The solid wood seat is chunky and comfortable, and the legs have golden accents. $129.95-$139.95. Buy here. 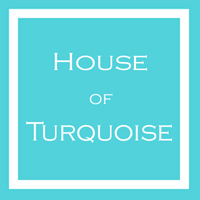 This quintessentially FrenchÂ Turquoise Bistro Chair boasts style and substance with a dash of ooh la la thrown in. The rustproof aluminum frame and hand-woven synthetic rattan help keep this outdoor seat looking chic no matter the weather, plus itâ€™s stackable for easy storage.Â $159.95 SaleÂ $135.95. Buy here. Part Klismos, part wing chair, this leather-upholsteredÂ Regency Side Chair has bold style, deep comfort and den-to-dining room versatility. Smooth, walnut-finished legs are the perfect foil for our Italian Distressed Leather, with its broken-in character and distinctive variations in shading. $695. Buy here. This Camelot Dining Chair with Nailhead Trim will add an air of timeless luxury to your dining room table with its beautiful, textural upholstery and graceful yet stoic shape. Modern tapered legs with a rich espresso finish, sturdy hardwood frames and subtly elegant backrest design with classic nailhead detailing around the edges of these dining table chairs allows for a perfect fit in any decor. Set of 2. $199.99. Buy here. 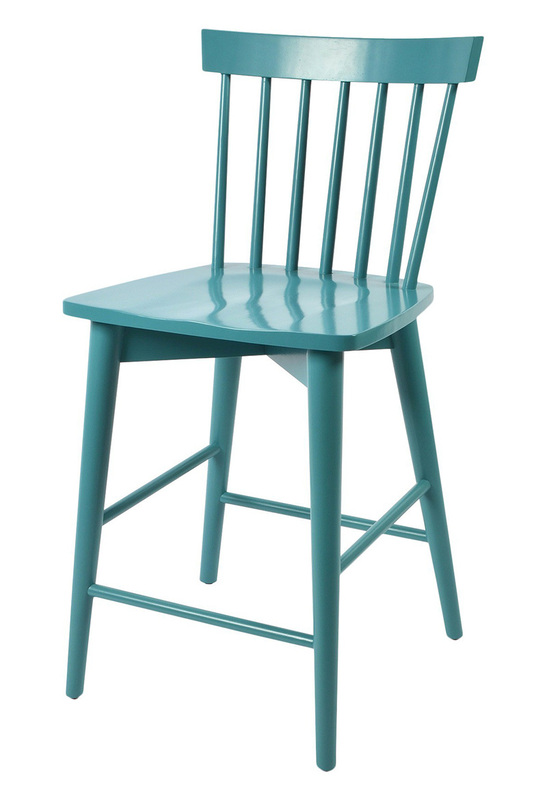 ThisÂ Aqua Windsor Counter Stool from Threshold has a comfortable pitch and sturdy wood construction. The unique color gives it a punch of personality. Ideal for casual entertaining, it has a high fan back and footrest to help keep your guests comfortable. $79.99. Free shipping. Buy here. This 4-piece Peacock Tabouret Stacking Chair Set offers an architecturally curvilinear design and a flat, wide base that makes it easy to stack and store away. 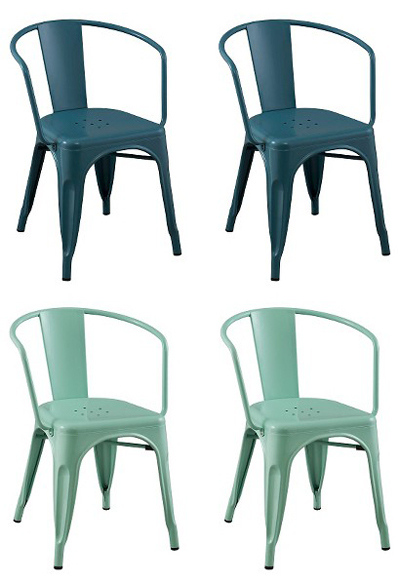 With its steel construction and non-skid feet, this chair set offers durability and reduces instances of floor scuffs. $199.99. Buy here. 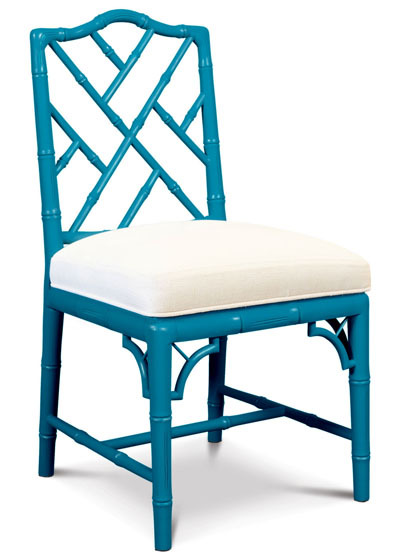 Crisp and classic, thisÂ Jonathan Adler Teal Chippendale Side Chair brings Palm Beach home to you-without the humidity. Chinoiserie chic gets a pop update in a limited edition high-gloss teal lacquer. Fab at a desk or dining room table. $695. Buy here. 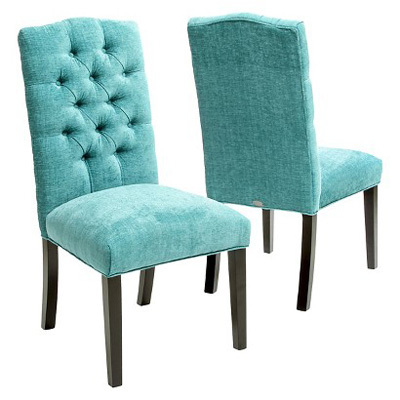 With a tufted seat back and crown-shaped top, these Christopher Knight Home Crown Top Dining Chairs (Set of 2) will enhance your home. With comfortable tufting along the back and cushioning on the seat this chair holds an elegant form with no cost to comfort. $249.99. Free shipping. Buy here. 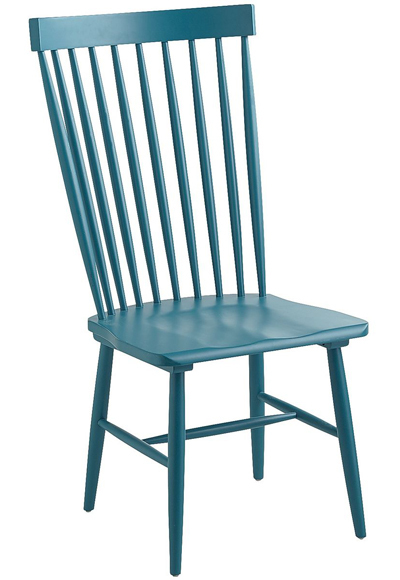 A peacock blue painted finish adds colorful presence to this classic Vintner Side Chair, inspired by the substantial kitchen and dining chairs of farmhouses past. 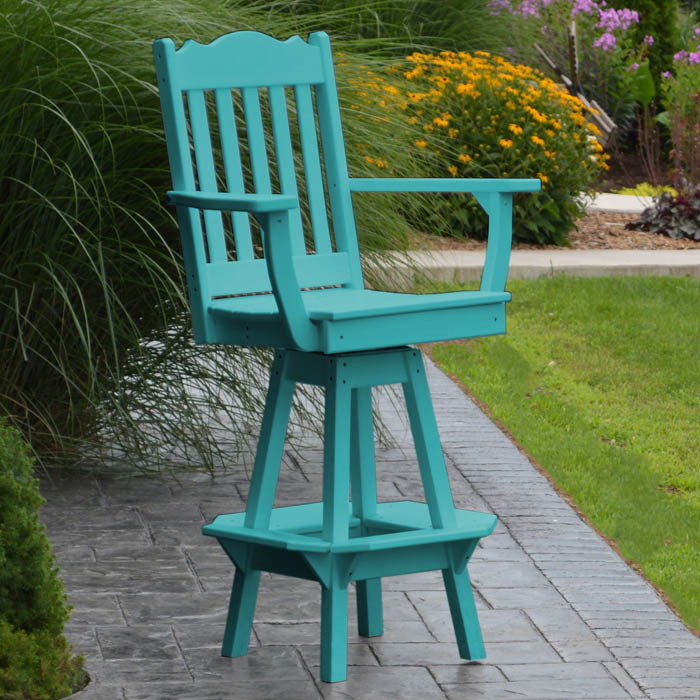 With sustainable solid wood construction featuring a contoured “X” back and comfortable, carved seat, this is one inviting chair with vintage character. $149. Buy here. 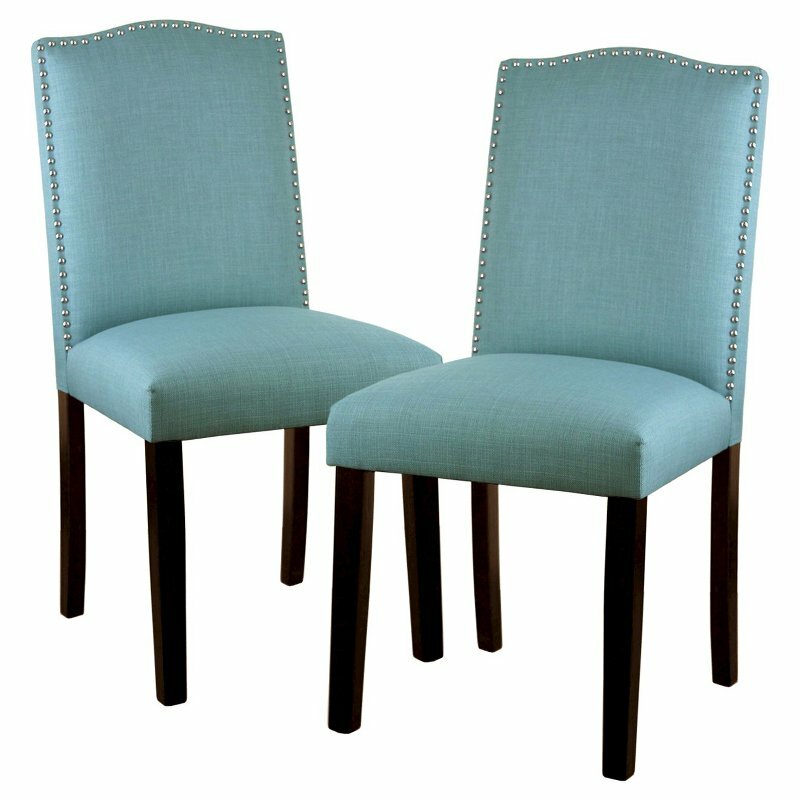 Boasting a solid wood construction and clean, classic design, this Turquoise Marcel Dining Chair is an ideal addition to your decor. Dress it up with a colorful cushion or let its stylishly simple design shine. $189.95. Buy here. 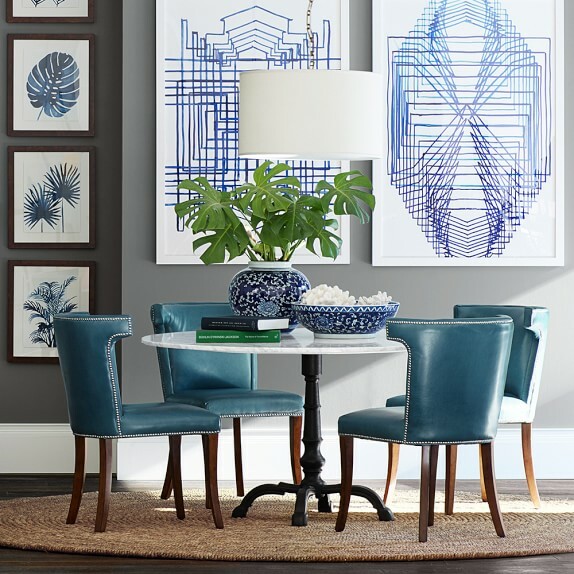 With a mid-century modern aesthetic and a sculptural look, these sophisticatedÂ Pagoda Blue Evie Molded Dining Chairs have comfortable molded seats with flexible backs and rounded edges. 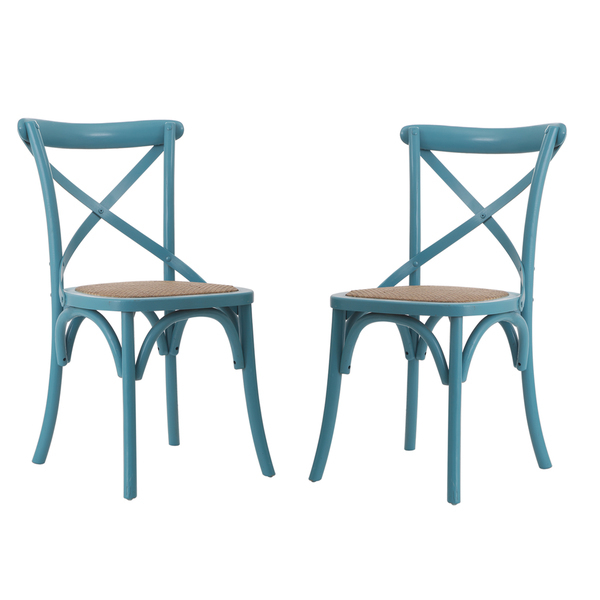 An incredible value, these unique chairs feature beech wood legs and metal support accents for added visual detail. Set of 2. $159.98 Sale $139.98. Buy here. 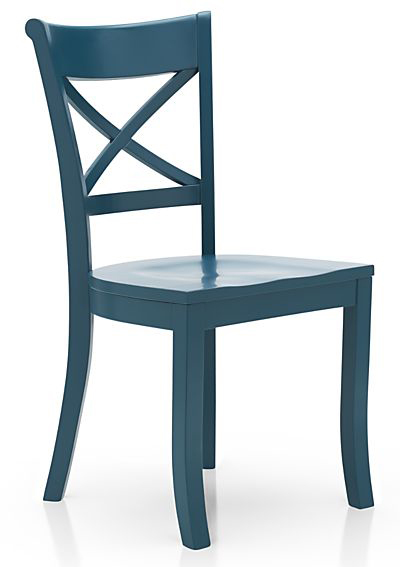 The Carlisle Dining Chair is made of steel, making it sturdy enough to handle daily wear and tear while remaining a comfortable, functional and stylish piece for your home. In Teal or Mint Green.Â Set of 2. $99.99 Sale $69.99. Free shipping. Buy here. The Parsons School created a modern masterpiece when they designed their first iconic chair: Simple lines informed by the naturalism of the Arts & Crafts and Art Nouveau movements. 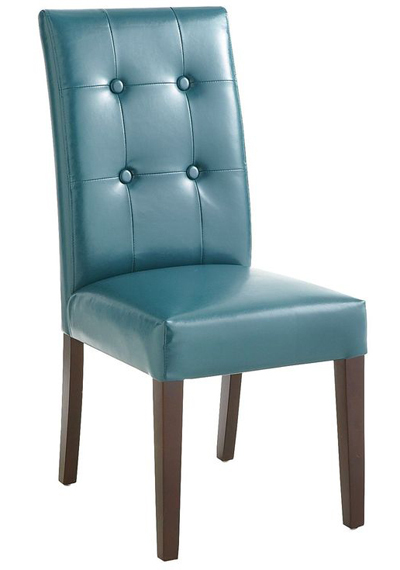 ThisÂ Teal Mason Dining Chair is a take on the classic Parsons Chair, hand-built of birch wood, then covered in foam padding and smooth, durable bonded leather. Transitional button tufting enhances the contemporary profile. Tapered legs have an espresso finish. $149.95. Buy here.